Comments on civil and criminal trial matters. On December 2, 2013, The Nonhuman Rights Project filed a habeas corpus petition to free a chimpanzee held in a cage in a shed in a used-trailer lot in Gloversville, N.Y. (“Rights Group Is Seeking Status of ‘Legal Person’ for Captive Chimpanzee,” James Gorman, The New York Times, December 3, 2013, p. A19 [“NYT”]). Habeas corpus petitions are used to bring before a court in the United States a case to free human beings held in custody against the law or their rights. This novel approach to animal rights is based further on the legal principle recognizing animals as legal persons for the purpose of being the beneficiary of a trust. Leona Helmsley famously left $12 million in her will to her dog, Trouble. 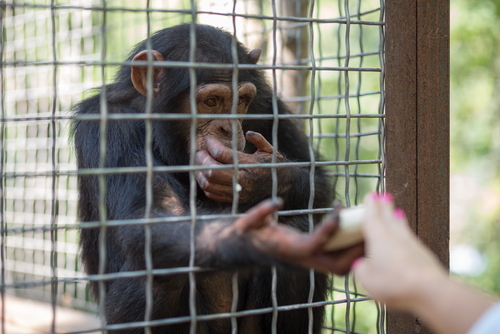 Asserting rights for chimpanzees that are normally reserved for human isn’t so far-fetched. After all, corporations are recognized as persons under the law, and corporations have a lot less life that chimps have. Over 90 percent of human DNA is also found in chimpanzees. (American Society of Genetics (2012, November 6), “Humans, Chimpanzees and Monkeys Share DNA But Not Regulatory Mechanisms,” Science Daily, http://www.sciencedaily.com/releases/2012/11/121106201124.htm). According to the legal brief filed by The Nonhuman Rights Project, Chimpanzees have qualities that should provide them with a right to bodily liberty including awareness of self, past and future. (NYT). The Nonhuman Rights Project plans on filing three similar petitions for three other chimpanzees caged in New York State.